When it comes to academics, our school had a commendable record of achievements by our students over the years. Today the Kennedy at Nunna stood on pinnacle point in Andhra Pradesh for its handwriting, Communication skills, Discipline, academic achievements and for its in sports like kabbadi, handball,volley ball and Basket ball in state and national level. Play way and activity based learning is followed at KENNEDY PREP SCHOOL,to build up strong foundation according to their age and appropriate topics. Language is taught by giving equal emphasis on all 4 skills –Listening ,Speaking,Reading and Writing. Air-Conditioned and spacious class rooms are equipped with soft boards to display ,thematic charts ,LED screen etc to p[rovide Audio-Visual aid and fun filled learning. Qualified, motivated and committed teachers. 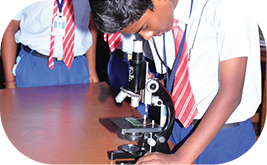 Airy ,ventilated spacious classrooms,creatively structured maths,science and computer labs and well equipped library. Special and motivational classes are conducted for slow learners from time to time to inspire them. Individual attention to the students by providing competitive environment and focused learning at school with 1:30 ratio. To encourage every child in the classroom, we classify them into houses…Like red house,Green house ,yellow house,blue house. We give gold ,silver medals and scholarships to intillegent students in final exams for the Academic year.